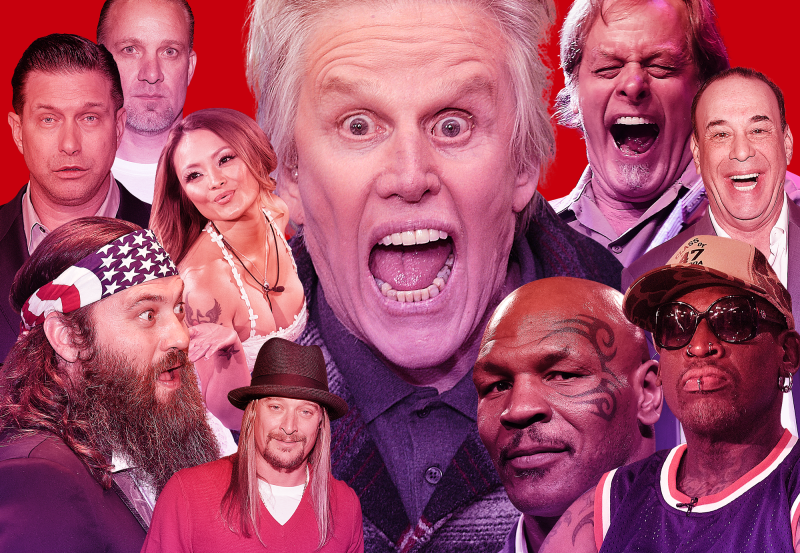 Who Will Serve as Donald Trump's Celebrity Vice President? Speculation about who Donald Trump will pick as his running mate abounds. The latest news has Chris Christie being vetted for the position, but they’re probably just messing with him. So far, the reality show candidate has given every indication he plans to run on a reality show platform. But what celebrity apprentice would even take the (unpaid, likely short-lived) gig? Oh God Mike Tyson What Are You Doing? If you only watch one clip from this year's Soul Train Awards (currently airing on BET), it should be this utterly confounding bit of nonsense from Mike Tyson. 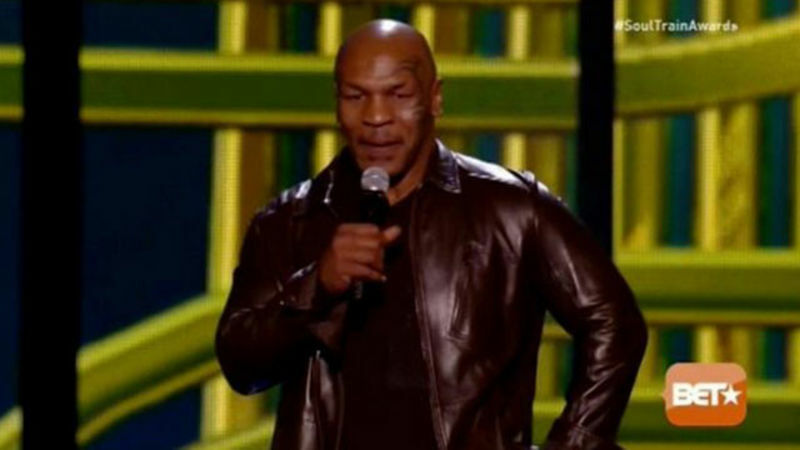 Tyson hit the stage ostensibly to promote his Adult Swim show Mike Tyson Mysteries, and in the process bumbled all over it for about a minute. 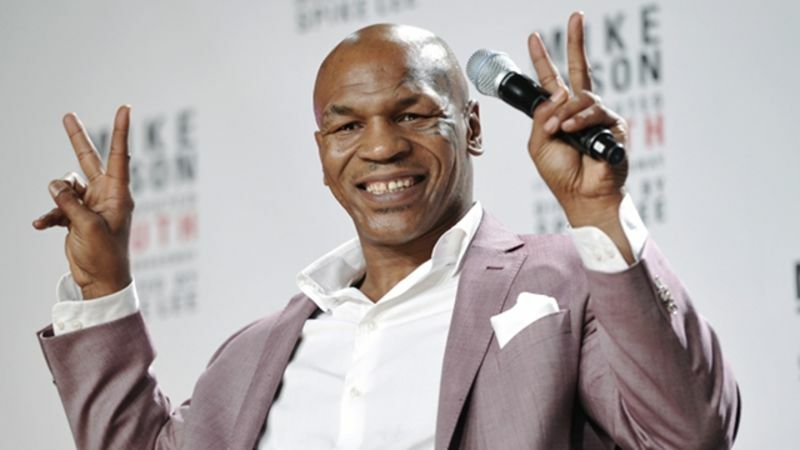 In an interview on SiriusXM Opie's Radio on Wednesday, former boxing champion Mike Tyson revealed he had been sexually abused as a child by a man who pulled him off the street. Tyson said he was seven years old when the abuse happened. 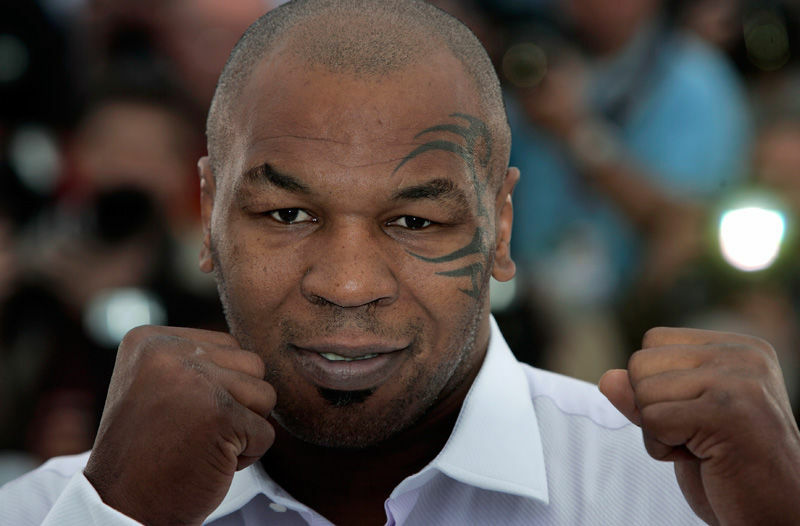 Mike Tyson, of Mike Tyson's Punch-Out, was one of the most fearsome Nintendo bosses of any '80s kid's childhood. He hit extremely hard, and it was hard to hit him back. So it's understandable that the real Mike Tyson might be a little nervous to face himself in his 8-bit prime. 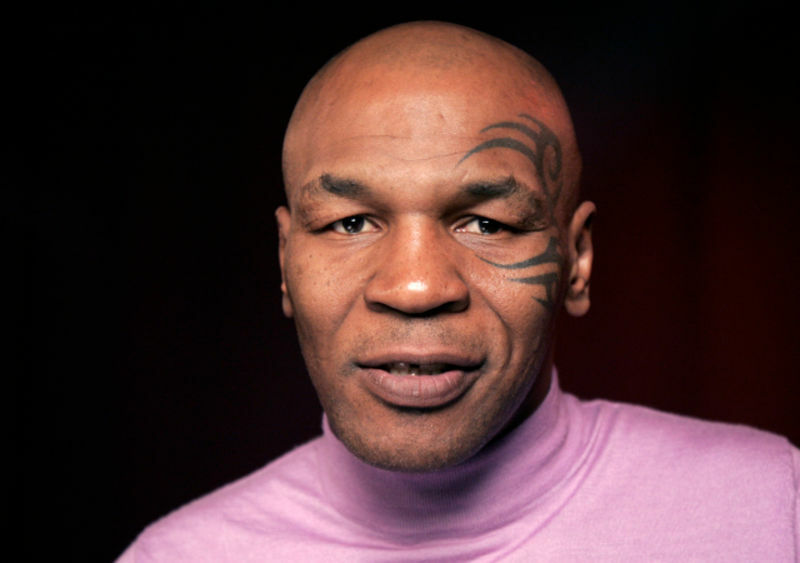 In today's Did I Just Read That Correctly news, Mike Tyson once broke up with a woman because she killed one of his pigeons, cooked it, and ate it. "It just wasn't the right thing to do," Tyson told reporters. "That's why she's not my woman anymore." 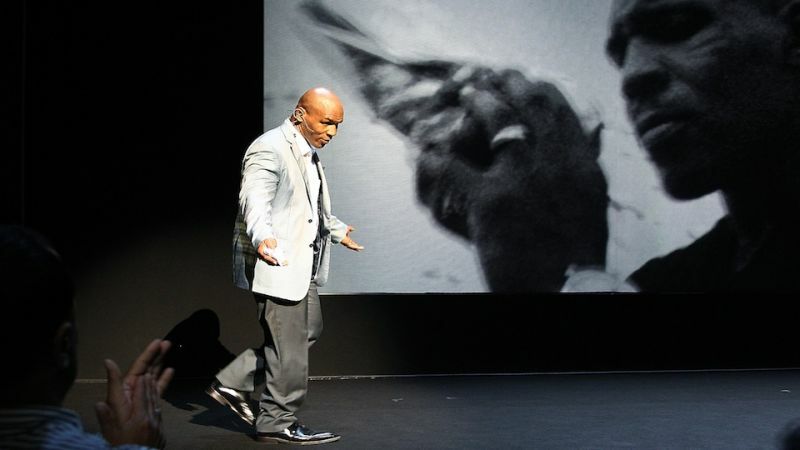 Earlier this month, someone on Twitter threatened to attack New York's Longacre Theater during a performance of Mike Tyson's new one-man play, writing, "This s**t ain't no joke yo I'm serious people are gonna die just like in aurora." The NYPD immediately requested the user's identity from Twitter but they initially denied the request. There are two sides to every story — and usually considerably more than that — but part of the thrill of a one-man show is being able to tell only yours. Tonight's Comedy Central Roast of Charlie Sheen featured jokes so offensive we almost felt guilty laughing at them, all told rapid-fire in one bit after another. That's probably why Sheen's more subdued remarks at the end balanced out the otherwise crazy 90 minutes. Though some have tried to stop her, the lady isn't budging. She's gonna keep on going. Also today: Bravo makes a bad decision relating to Real Housewives, and Mike Tyson finally gets someone to pay attention to him. Shia says he had an affair with Megan, but he might be lying. Jake Gyllenhaal gets "touchy-feely" with a lady. Hugh Hefner adds another lady to his harem. 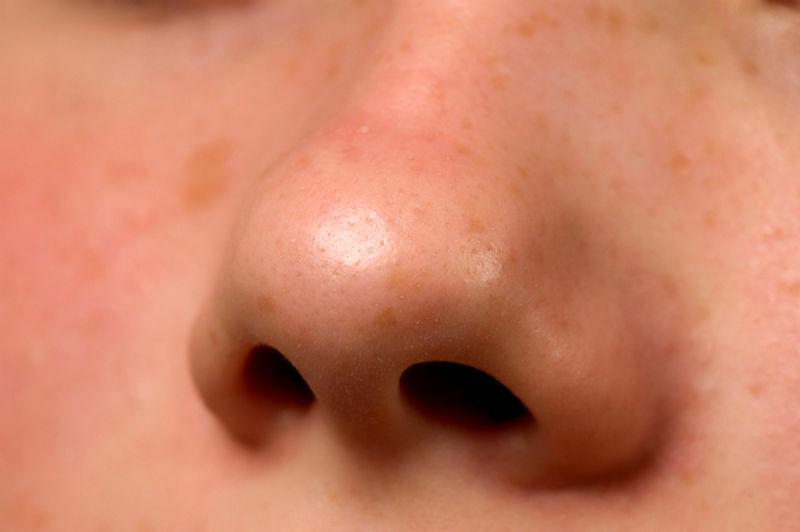 Nicole Kidman's baby is a ginger. Tuesday gossip kisses and tells. During an interview with CBS's Bill Whitaker, reforming (reformed?) 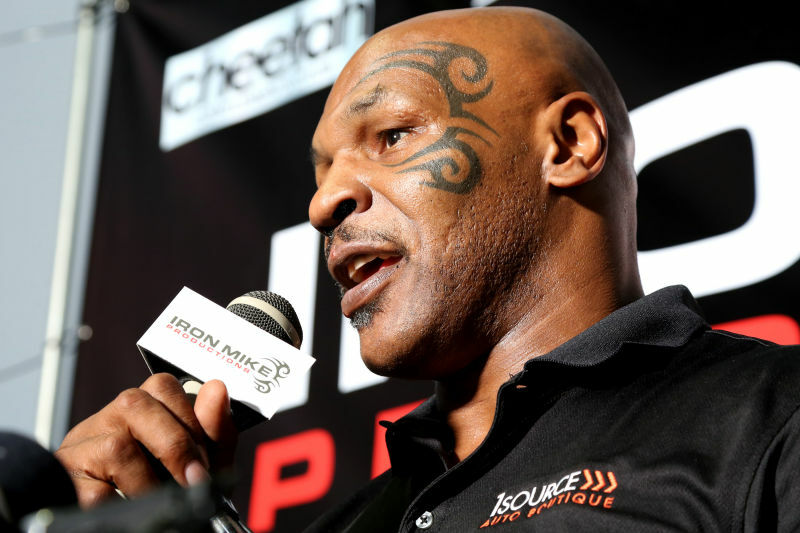 former heavyweight champ Mike Tyson dismisses his title belts as "garbage" and "nothing." His priorities have changed! Making his kids and pigeons happy is what life's all about now—not golden, shiny things. 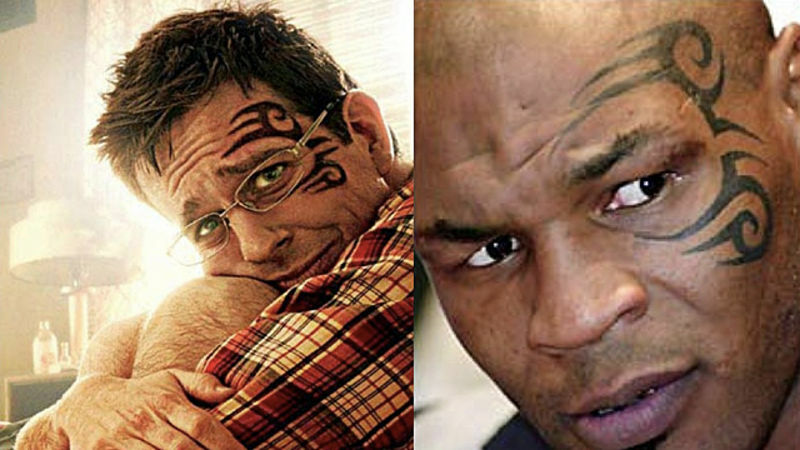 A federal judge has denied tattoo artist S. Victor Whitmill's request for an injunction barring The Hangover 2 from opening because the studio didn't ask him for the rights to use Mike Tyson's face tattoo, which Whitmill designed and copyrighted. He still has a "strong likelihood of success" in eventually winning his case, though, according to the judge. 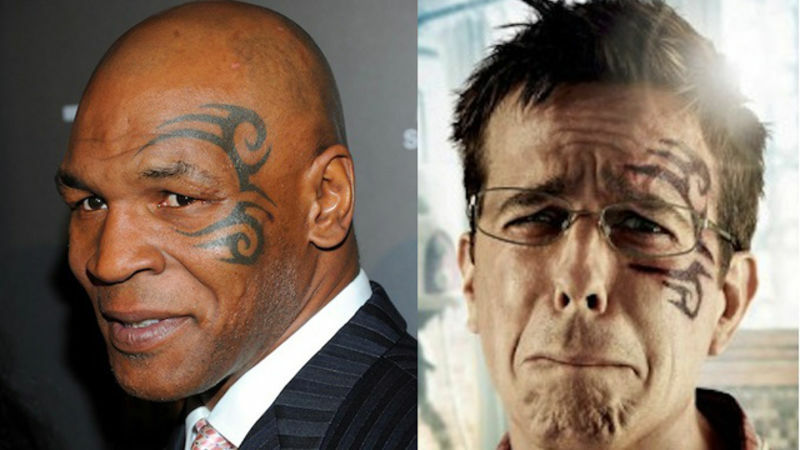 It seems that the sequel to The Hangover features a gag about Ed Helms' character getting a tattoo like Mike Tyson's. One thing the Warner Bros. legal team probably didn't anticipate: A copyright lawsuit from the "visual artist" who drew the original tattoo. Can't stop playing Angry Birds on your iPad and it's ruining your life? Mike Tyson can help in three one easy step! On Access Hollywood Live, Mike Tyson discusses the topic on everyone's lips lately: Charlie Sheen. In almost full Tom Cruise spirit, Iron Mike becomes more and more vibrant. Perhaps someone took a dose of the S-H-double-E-N.
Mike Tyson: "Great People are Not Necessarily Good People"
Mike Tyson appeared on Ellen to promote his new show and talked openly about many serious topics. The boxing icon sounded wise and changed as he discussed fame, sobriety and his daughter. For a celebrity interview, it was refreshingly sincere.